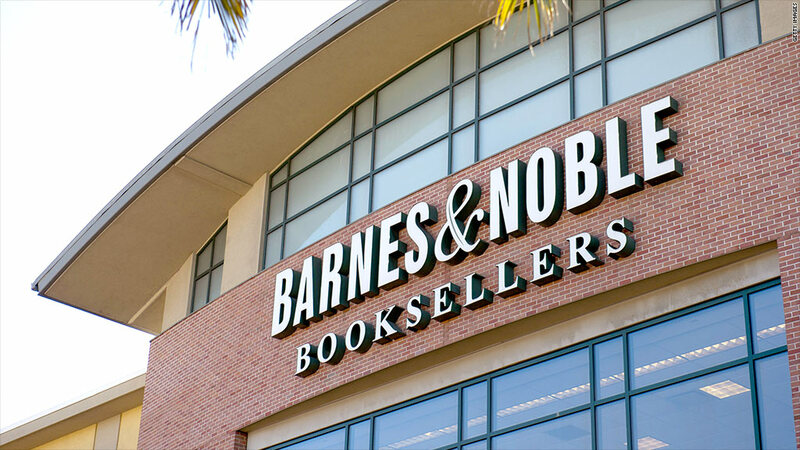 Investment firm G Asset Management offered to buy 51% of Barnes and Noble. Investors aren't giving up on one of America's struggling book sellers. Shares of Barnes and Noble jumped Friday afternoon, and closed more than 5% higher after an investment firm offered to buy a majority stake in the company. G Asset Management said it wants to acquire 51% of the book seller, valuing the company at $22 per share, well above its current market price of $18. Sales have been falling for the book seller in the past year, especially for its Nook line of e-readers and tablets. Sales of those devices plunged more than 60% this past holiday season compared to the year before. Despite lagging sales, shares have risen 34% in the past 12 months. In an alternative offer, G Asset Management also said it is willing to spin off the Nook segment and acquire 51% of that, valuing the e-reader business at $5 per share. Barnes and Noble (BKS) has been considering spinning off its Nook line since 2012. This is not the first time the private investment firm has offered to buy a stake in Barnes and Noble. It made an offer in November that valued the company at $20 per share. Barnes and Noble founder and chairman Leonard Riggio expressed interest in buying the book seller last year, without the Nook segment, but he's since stepped back from those plans. He sold some of his stake in December, but still owns 26% of the stock. A Barnes and Noble spokeswoman said the company had received G Asset Management's offer, but did not have any further comment.